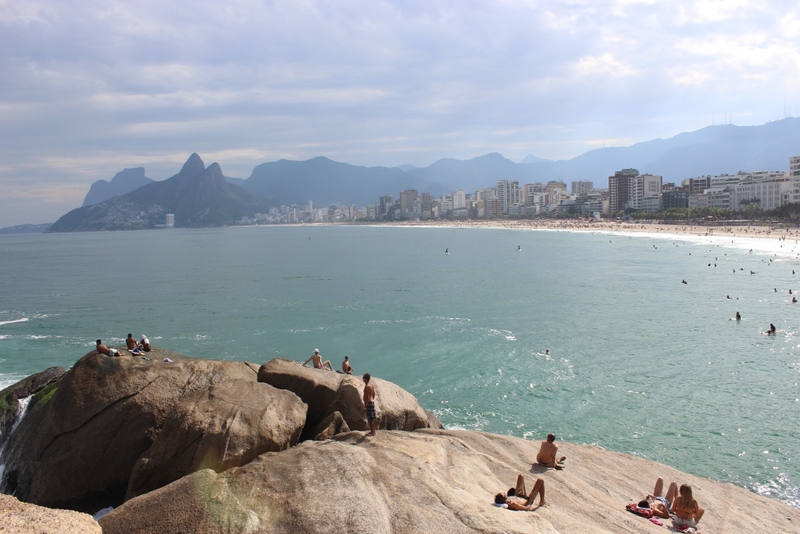 Situated right where Ipanema and Copacabana meet each other a small peninsula juts out into the Atlantic. 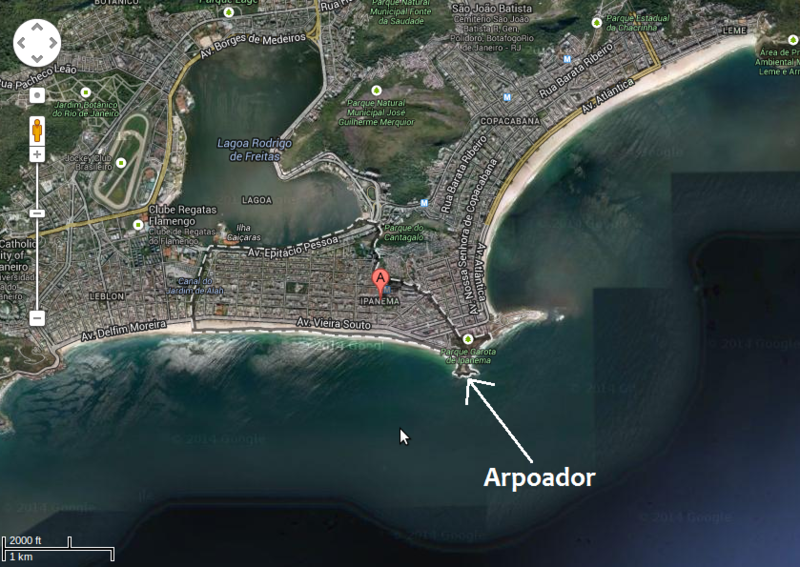 This is Arpoador. Besides creating one of Rio’s best surfing spots below, rolling out consistent breakers of normally up to three meters, Arpoador is open to the public to scale and lounge upon. Locals and tourists alike can be found looking out over the beaches and neighborhoods of Ipanema, all the way across to the Dois Irmãos mountains towering over the Western edge of Leblon, as well as watching the talented surfers below. It is particularly popular around sunset any time of year, though more so in midsummer when the sun actually sets over the water, a rare sight on the east coast of any country. 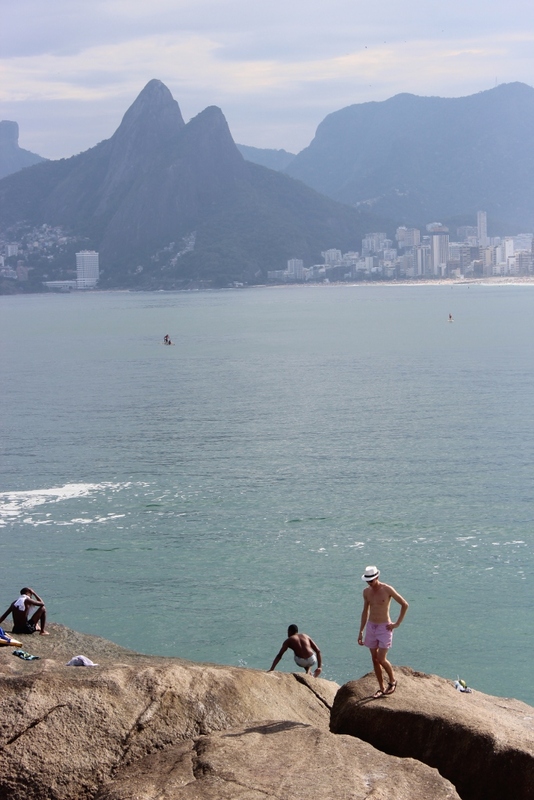 Vendors sell sodas and Skols just a few steps away, making Arpoador an easy place to just hang out for awhile.